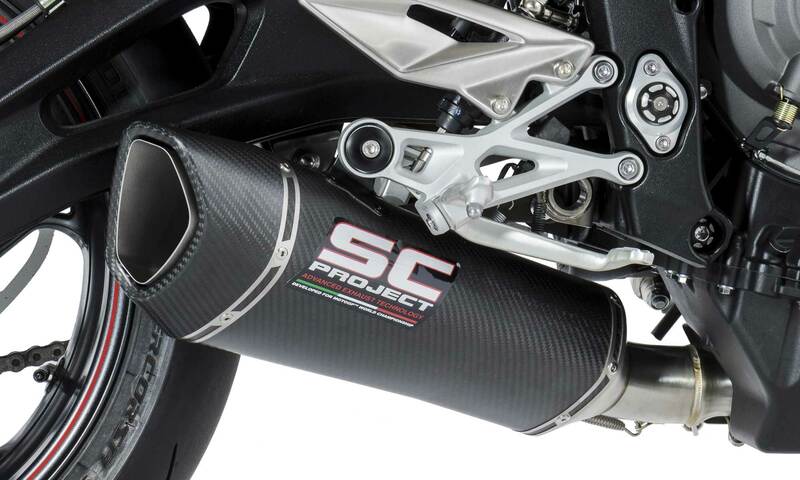 The SC1-R is a hi-tech muffler that came about from the need to offer the public a product with a racing soul, but which, thanks to work by the R&D Department creating a Euro4 approved version, allows it to be used on the road fitted on many motorcycles. 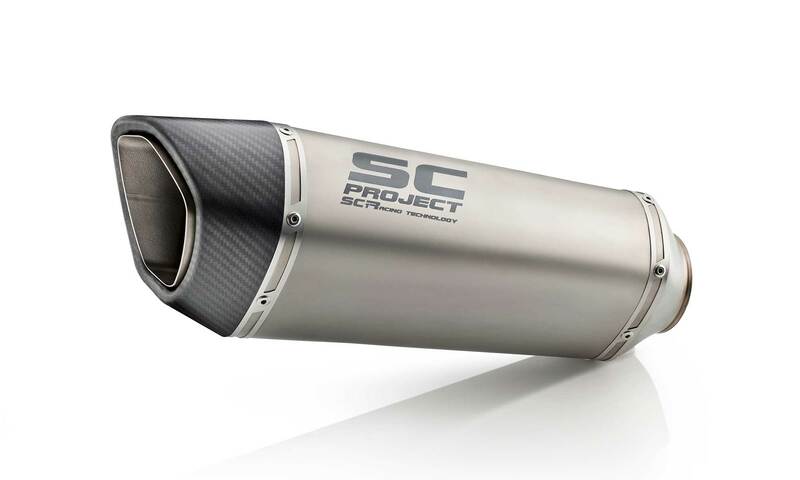 The asymmetric and clean rhomboidal shape, together with the matt carbon fiber end cap, recalls the sporting spirit of the SC1-R confirming it as the ideal muffler for the latest super sports bikes. 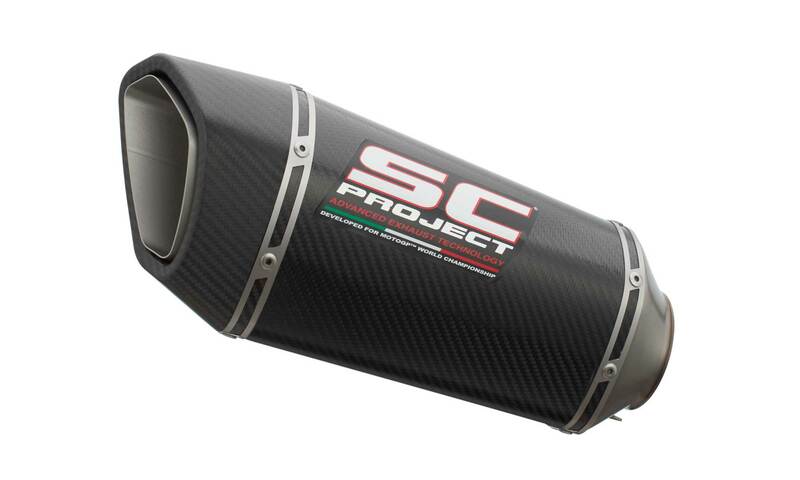 The SC1-R muffler boasts sophisticated technical solutions such as bracket and fitting welds with T.I.G. 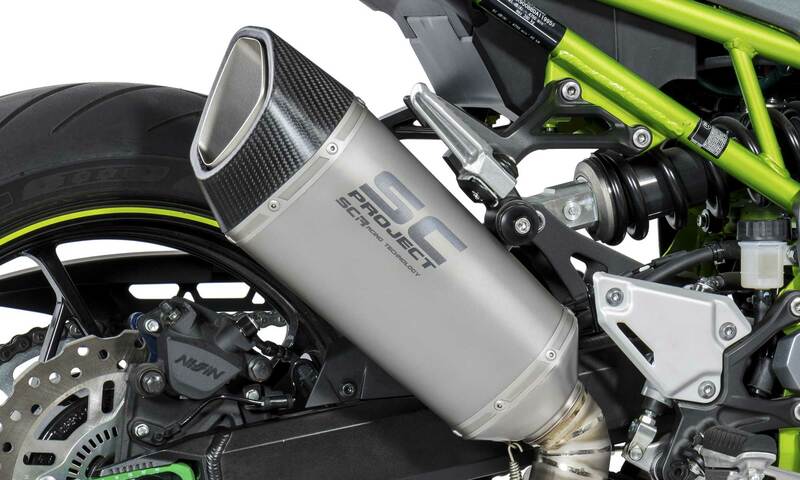 technology, sound-absorbing material designed to withstand the very high temperatures and exhaust gas pressures of racing motorcycles, and the titanium insert bushings machined from solid by CNC machines, which guarantee impeccable couplings.